From the 31st March to the 2nd of April, the University of Dundee hosted Reworking Walter Scott, a conference exploring Scott’s working through the lens of adaptation. To mark the event, Ink Pot Studio produced Reworking Walter Scott, a comic anthology which featured a variety of comics adaptations, re-imaginings and reworkings of Scott’s work. The first day of the conference was a Creative Day, formed of creative workshops and talks. 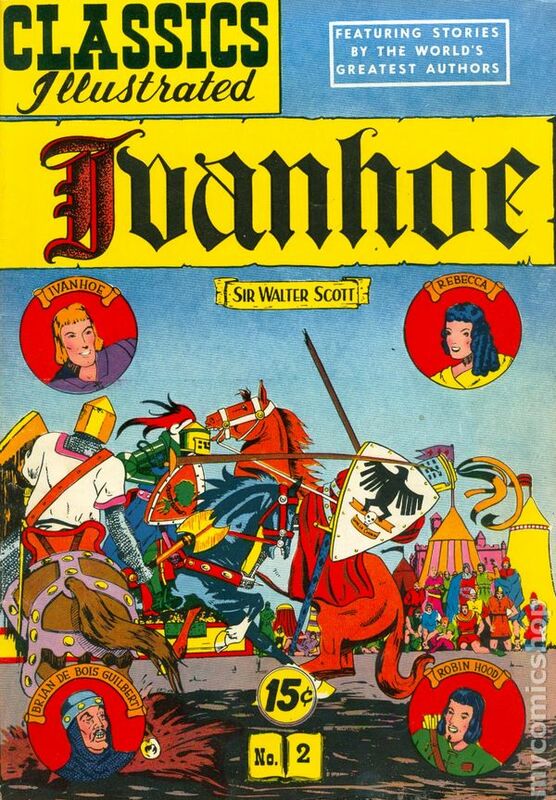 Professor Chris Murray opened the event with a discussion of comics adaptations of Walter Scott’s work, particularly looking at Classics Illustrated’s famous retelling of Ivanhoe. Damon Herd and Norrie Millar of Ink Pot Studio and Dundee Comics Creative Space then took over with a comics workshop, where delegates had a go at lettering Norrie and Rebecca Horner’s silent comic Joust (based on Ivanhoe). The delegates were then tasked with collaborating on a six panel comic inspired by Scott’s life or work. There were a diverse range of responses, from comics celebrating some of Walter Scott’s more peripheral characters, to comics musing on Abbotsford to a comic about Walter Scott’s dog!